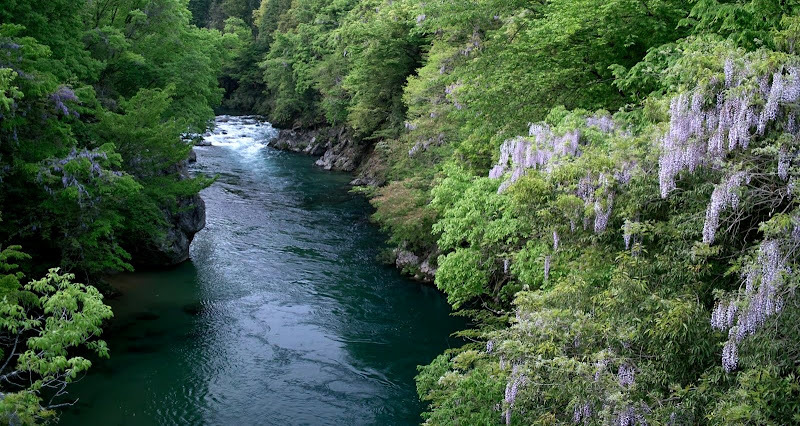 Last May I got to spend 2 months in the Japanese mountain village of Maze, on the shores of the Mazegawa (Maze River). I went exclusively to learn everything I could about tenkara. But, along the way I definitely enjoyed some treats. One of the highlights was visiting the ryokan called Maruhachi. Actually, I had visited Maruhachi once before, in 2010, and really felt like I was in heaven at that place. Last year I was actually able to enjoy it 3 times! Once with my good friend Chikara and his wife Rebecca, once with a large group of tenkara anglers after a weekend clinic, and once with the local fishing cooperative officials. Rebecca is a freelance writer, and she just completed a story about the place for The Guardian. The story features some of my photographs. It is a very well written article that captures the essence of the place very well, even if it doesn’t mention tenkara. If you are interested in learning more about Japan, and a place that could still be considered a heavenly secret, take a look at the writeup. My mouth is now watering remembering the 11-course meal of sansai (mountain vegetables), iwana sashimi and shioyaki amago (sea-salt on the skin and on a skewer). My wife got me an Ito Rod, some level line, a 13 ft furled line, a Tenkara USA patch for my sling pack and anhteor line spool. Also got a horsehair line kit, a line for my Ito pre-made and a few more goodies from Chris at Tenkarabum. Off for 3 days of fishing tomorrow so I’ll get to try my new rod out on the water!